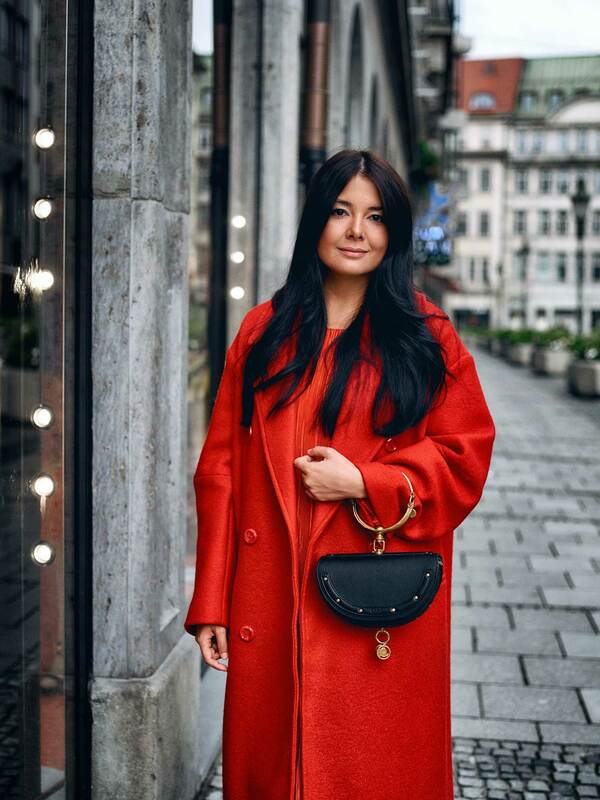 On foggy, cold autumn days, there are red fashion must-haves which hold us warm when it is getting colder. 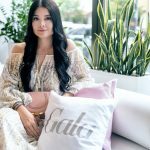 You have already found red in several summer looks of trendsetters. In autumn they add many more different nuances. Especially the all-over look is very demanded, so I would like to show you more today. Moreover I want to share my best tips how red appears modern and elegant in autumn. It is well-known as colour of love and as symbol of power. When fashionistas think of red, then they love to combine all-over look at the moment. Best example: Oversize Sweaters with flattering plissée skirts in red. 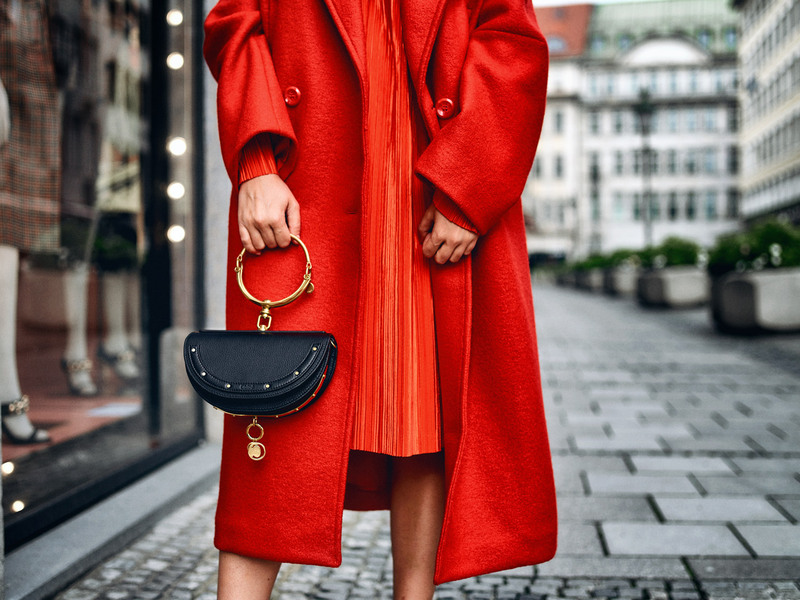 During Fashion Weeks you could already see many trend pieces in red for autumn and winter season 2017 on the catwalks. But red is not every time the same. This season fashionistas can choose among different nuances their favourite colour. In this case the colour institute Pantone explained “Flame Scarlett” and “Grenadine” for it two favourites. 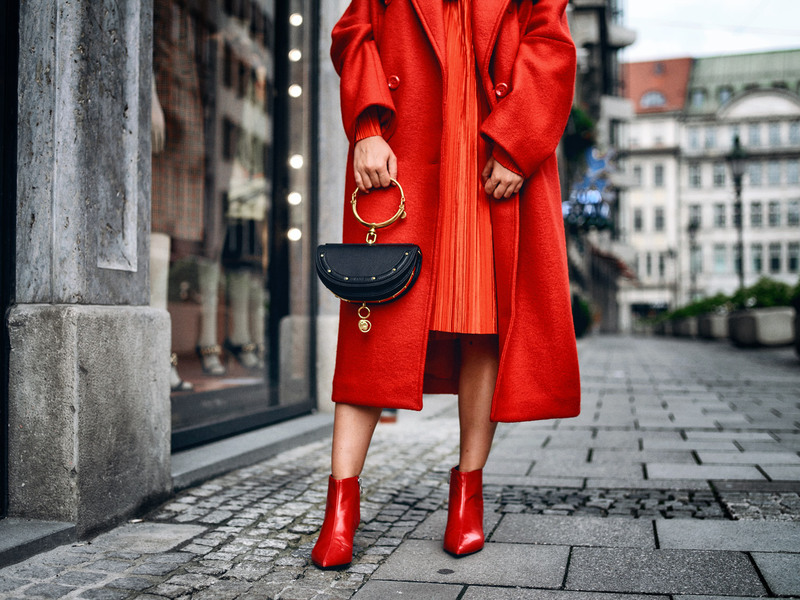 According to this fact, the trend colour red goes with many different ways of style and the ideas of combination are wide. I personally prefer the all-over look. To be more precisely, I like colder red nuances. Also bright red and Bordeaux look good in combination. Nevertheless, there are some tips to be mentioned concerning the right combination of an all-over red look. I recommend you to pass fancy prints because red has a very powerful appearance. That is enough! Otherwise your look will appear overloaded. It is better to play with different materials like wool and silk. Finally it is very important to pay attention to your eyes colour and your taint. You better try different nuances and hold the clothing pieces in front of your face. So you can see which type of red underlines your eyes and hair colour and which clothing pieces make you look pale. In conclusion I would like to present you my look. I love the classy pieces like a trench. 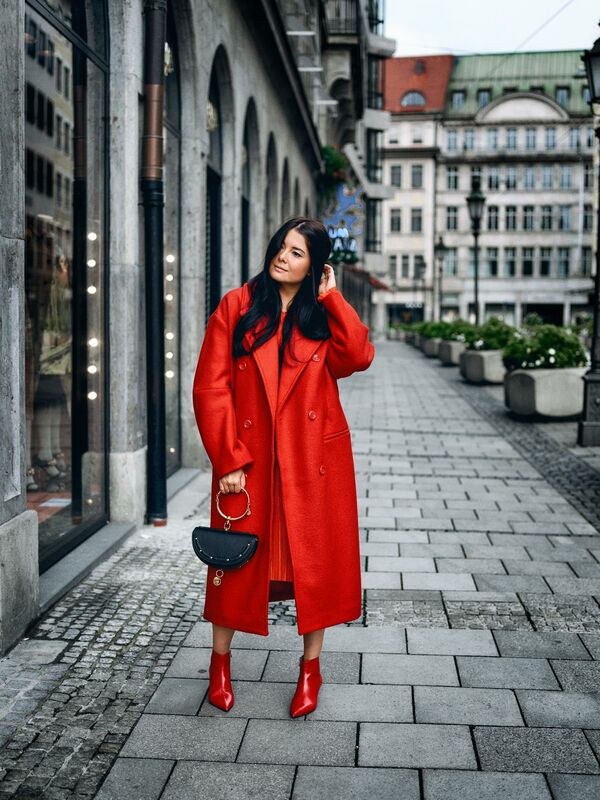 In autumn the trench by H&M is not only usable, it appears much more feminine and elegant in red. I add a plissée dress byH&M, because it looks interesting in combination. Do you remember the clashing-with-the-style? It is just perfect in this case. For a modern 2017 update I wear red booties in patent leather optics by ZARA. At last, a unique bag with handle by CHLOÉ finishes the outfit and is a huge trend in autumn. 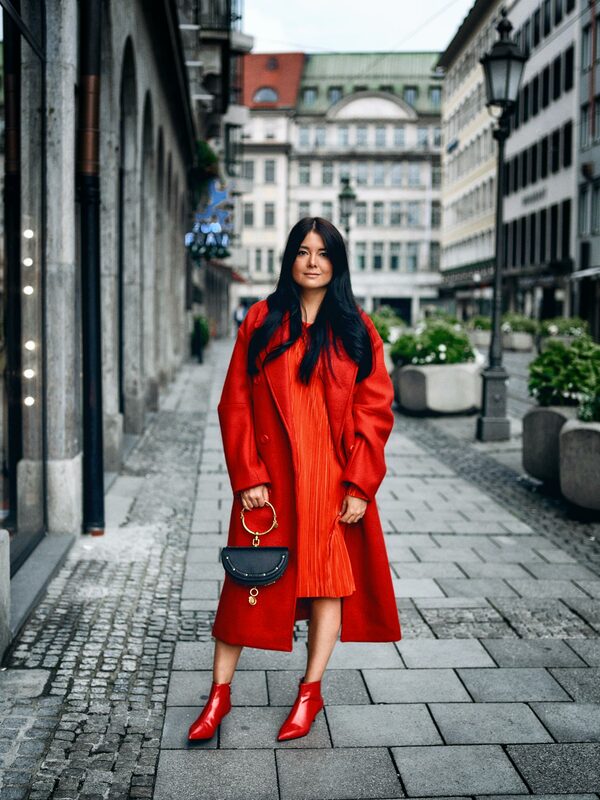 What is your opinion of my all-over red look?